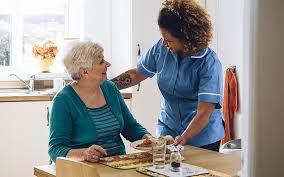 A recent news article revealed that not all companies or services screen their home care workers. At MeetCaregivers, your loved one’s safety is our number one priority. Here’s how we ensure the safest and most appropriate care. Before we hire our caregivers, we make sure he or she has completed a comprehensive job application as well as an in-person interview. As part of the qualification process, we only hire caregivers with a minimum one year of relevant experience. Likewise, we examine personality traits like compassion and the patience to care for seniors. In addition, we check references, verify certifications that apply to the caregiving position, and run criminal background checks–all at no extra cost to you. Not only that, but potential candidates go through an extensive pre-screening process that includes protection with MeetCaregivers liability insurance and bonding, as well as worker’s compensation. Make a random visit. Unexpectedly showing up at your loved one’s home is the best way to see your caregiver in action. It also lets your home care worker know that you’re in tune with your family. Ask your neighbors. Seeking feedback from neighbors who know your loved one has a caregiver is essential to remember. Ask them to keep an eye out while you’re away and check in with them to make sure the caregiver is following your expectations. Above all, follow your gut. You know your loved one best. If something doesn’t feel right, follow your gut and investigate. Communicating your concerns with your caregiver will ensure that your expectations are understood. Lastly, check out the Care Portal. The Care Portal helps you stay connected with your loved ones 24/7. 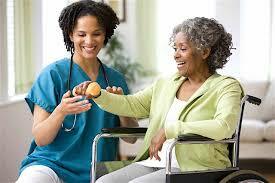 With it, you can adequately communicate with them and the care team. You’ll receive notes of daily activities and health data so you’re always in the know. MeetCaregivers wants to go above and beyond to provide the very best care for your loved one so you can rest easy and have peace of mind. Looking for more resources about caregivers? Our blog has plenty of information for you to read and learn about the topic. For area events and extra support, Boston’s AARP website is another source for you and your loved one.